I was originally looking for Vice 2, released September last year, to add a welcome addition to my palette collection with it’s perfect mix of neutrals and bold pinks and greens. But then I saw this! In the clam-shell style typical of Vice’s past, this palette comes complete with a full-size mirror and a double-ended synthetic brush (warning: it’s reflective cover holds no mercy when it comes to mucky fingerprints). The colours are undoubtedly beautiful with four matte transition shades (‘Truth,’ ‘Undone,’ ‘Downfall’ and ‘DTF’) accompanying 16 shimmers. The variation in colours is perfect, with warm tones narrowly out-numbering cooler tones (it is the season for reds, coppers and browns after all!). My favourite thing about this palette is that, if you take each row separately, it offers a ready-made combination of five colours, each set combining neutrals with an unlikely pop of colour. Champagne meets emerald, taupe meets red. As always, I have a few complaints. While the shadows have an amazing colour payoff, they are particularly powdery. I’m not sure whether this is more noticeable here because of the number of shimmers (prone to a crumbly texture – think ‘Dust’ from Naked 3) or whether it is an unusual oversight by UD. Regardless, be careful of this excess if you have already applied your foundation and concealer! I’m also not a huge fan of the brush; the bristles seem too sparse to effectively blend shadows together. Instead, I use it to sweep over my lid when all the blending is done, just to pick up any stray powder that may be lurking there. This is my favourite of the mattes. It is a perfect transition shade for a smoky eye, subtle or dramatic. I think ‘taupe’ doesn’t really do it justice, it has a purple-grey tone in a natural light that blends beautifully with warm and cool colours alike. Last Sin was the colour that immediately caught my eye when I lifted the lid; to me, it’s the perfect shade for the festive season and, like DTF, blends well with coppers and browns as well as blues and greens. I’ve never tried a colour like this before; the thought of green eyeshadow has never really appealed to me, but this colour is gorgeous, whether over the entire lid or just under the lash line. It particularly suits the pink and purple shades in the top row of the palette. I wanted to try out this colour against my skin in anticipation of buying Lime Crime’s ‘Venus’ palette which comprises of these rusty red tones. And I love it! Blended with coppers and golds, Sonic adds something a little bit different to those usual autumn looks. In this picture I used: DTF (transition); Last Sin (lid); Bobby Dazzler (highlighter); Sonic (lower lash line) and Defy (crease). 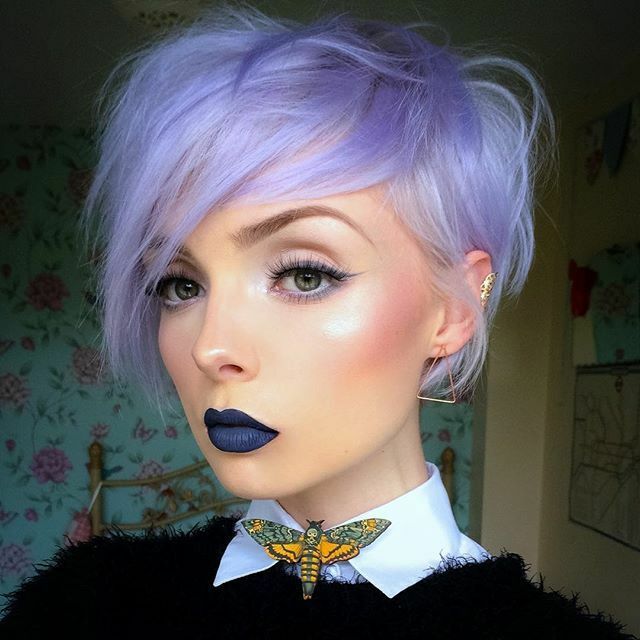 Lips: Lime Crime Velvetine in Salem (ohmygodthebestlipcolourontheplanet). Would you consider buying Urban Decay’s Vice 3 palette?